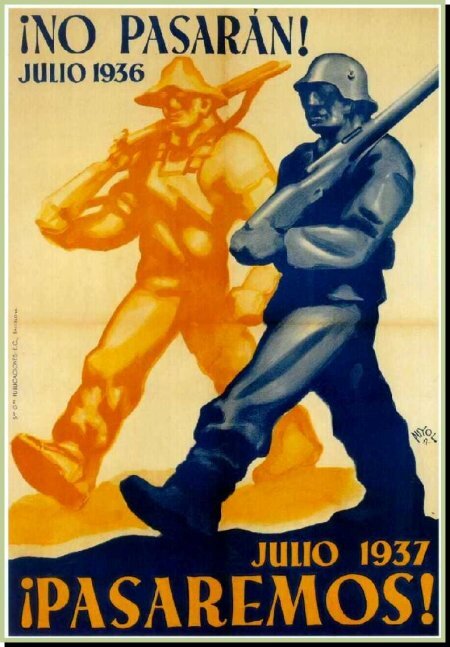 “No pasarán”–“They shall not pass”–was the antifascist rallying call throughout the war. The phrase referred to the defense of Madrid from the Fascist onslaught. A Spanish cigar maker living in Tampa, Florida, composed a song with those words as the refrain; it was recorded on a ’79 in New York in 1937, and was quickly popularized. Video here. Check out ALBA’s YouTube channel for more videos.